Who is the most radical person you know? I once knew a man who was constantly trying to convince people that he and they should quit their jobs, sell everything they have, and just do evangelism all day, everyday. This was his idea of radical. This was his idea of what he thought Jesus meant when he told the rich young ruler to sell all his possessions, give to the poor, and follow Jesus (Matthew 19:16-22). This was what he thought Jesus’ point was when he told the story of the rich fool who built new store houses to store up all his grain for himself to live on for years to come (Luke 12:13-20). My friend also believed the other way you could be radical for Jesus was to become a missionary. Was my friend right? We would probably all answer “no.” However, many of us may not realize it, but we actually do think like this. Many believers only look at people like missionaries or others who have visibly given up a lot as living radically for Jesus. Over the last year, as our family has made the huge transition to becoming missionaries, we have constantly been reminded of what it means to live radically for Jesus. Believe it or not, we have seen that many of the most radical Jesus followers we know are not on the mission field. Rather, from an outside view they look very “normal.” They own a house, car, have good jobs, etc. 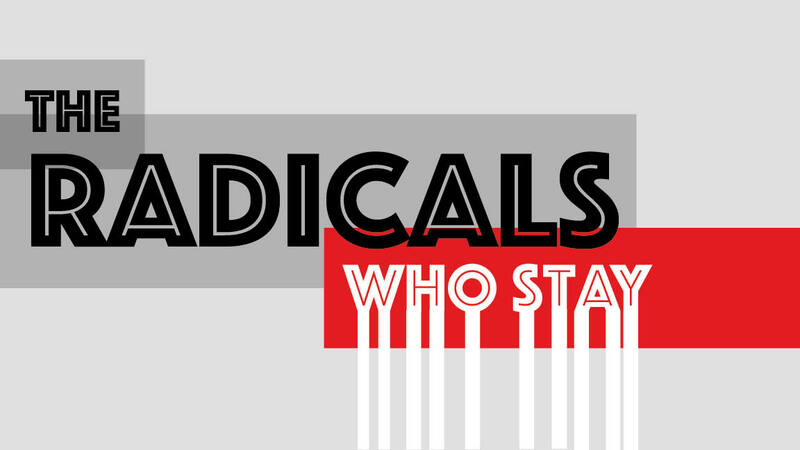 What makes them radical? They rightly understand and live out the passages above. They understand that being radical does not mean having nothing and that Jesus was communicating that we are to make the most of what He gives us for His Kingdom. This last summer we visited family, friends, and ministry partners in Illinois and spent time with our home church and other ministry partners in Kansas City. In all, it was a six-week trip enjoying fellowship with loved ones and reporting on what God is doing through us and our team of ministry partners. During this time, my wife, Betsy, and I were reminded that the most radical people we know are those that are being radical right where they are. They open their homes to various church gatherings each week, they work all day and do evangelism in nursing homes when they are done, they risk reprimand and ridicule by holding evangelistic bible studies at work, they pour themselves into people and ministries in their local church, they work a few extra hours or give up the American dream so they can squeeze as much as possible out of their budget to financially partner with missionaries like us, etc. In short, many of the most radical people we know live radically under the radar of those around them but certainly not under the radar of the King who delights in them. People often marvel at all we (and other missionaries) have given up. But we marvel at the everyday Kingdom focus of our dear brothers and sisters who faithfully give up so much so that we can joyfully partner together to take the good news of Jesus Christ to those who do not know him. So, this is a special tribute and recognition to the very committed people who partner with us – we thank God because you are radical! Thank you for your inspiration and love!